Many mountain bikes designed for kids are fairly utilitarian. They come in basic colors and aren’t overly customizable. The Spawn Yoji 14 is quite different. This mountain bike is just as lightweight and functional as the others, but it has a number of exciting features. Dad says: "The Brood Perch Pivotal seat on this bike is second-to-none. The adjustability of the handlebars is great. 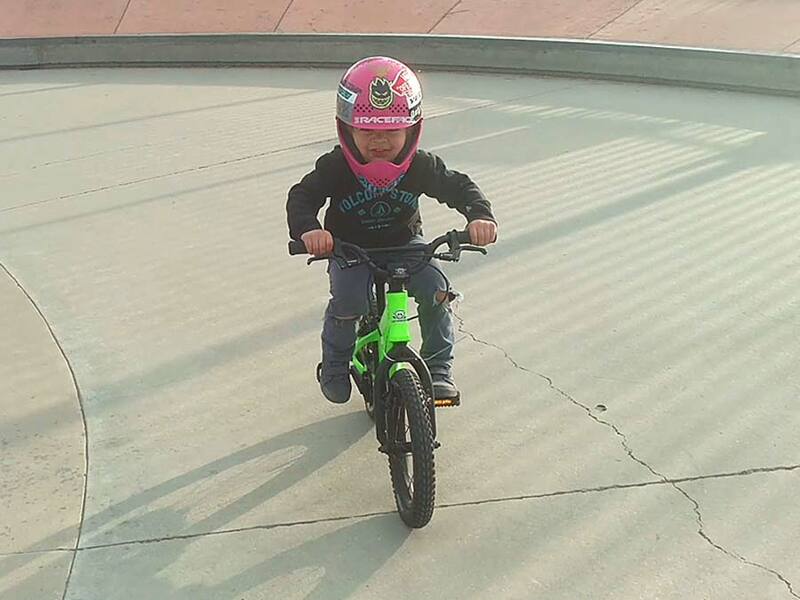 My son will also learn how to use front and rear brakes with this bike." Tektro V-Brakes control this little bike's momentum, not the fun. A quick release seat collar helps with on-the-fly saddle height adjustments. Spawn's Loam Star tires have an aggressive off-road tread. 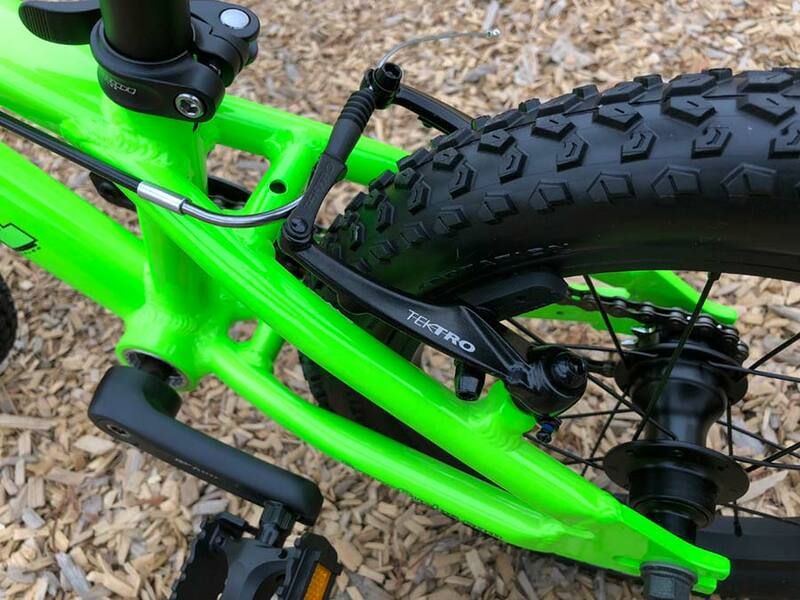 The Spawn Yoji 14 is a 14-inch mountain bike designed with kids in mind. Its frame is available in an array of colors, including bright blue, purple, neon green, orange, and red. This complements the all-black tires and trim to create a striking bicycle that will definitely be noticed on the trails. However, the looks of this bike are just the tip of the iceberg. It’s extremely lightweight – only 13 pounds – thanks to the 6061-T6 aluminum frame. This goes well with the 4130 chromology fork. 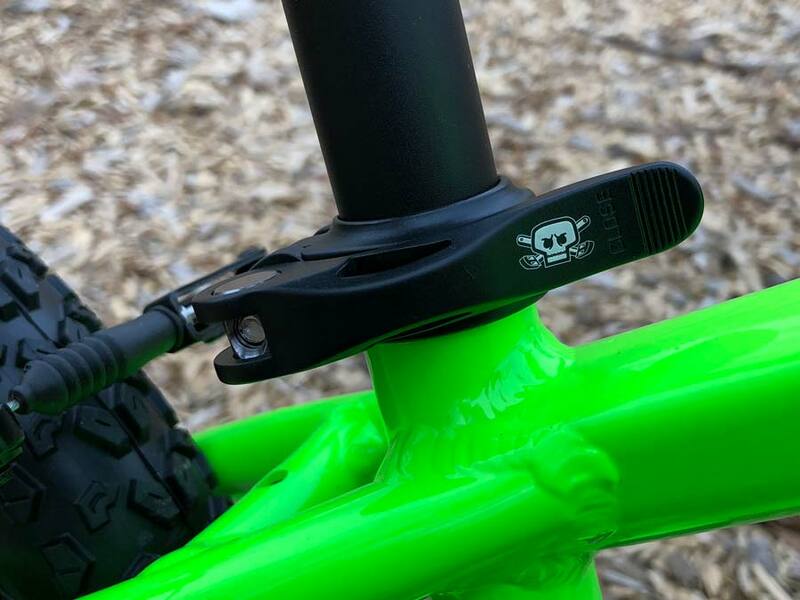 The seat, a Perch mini Pivotal seat from Brood Bike Co., is attached to the Spawn Yoji 14 with an alloy post. As your child grows taller, the seat height can move up as well. This saddle was custom-designed for Spawn. They wanted one that was more comfortable than a typical rail seat and wound up with the world’s smallest padded Pivotal seat. This design is both stronger and lighter. 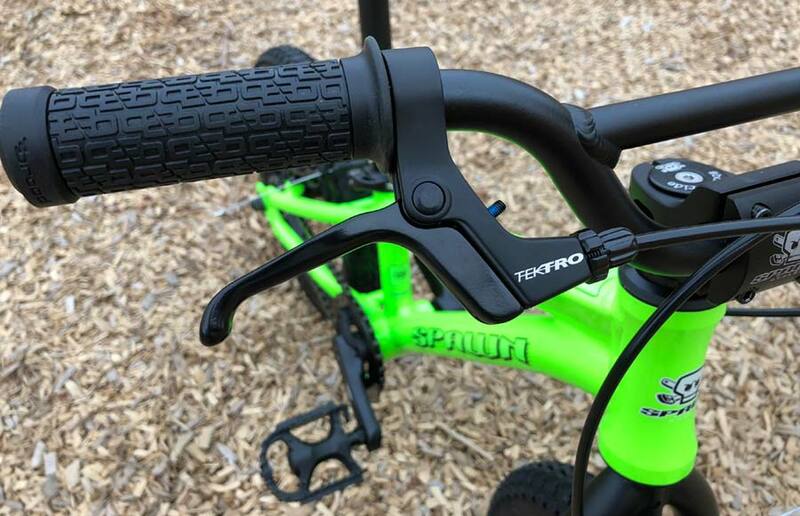 The stem on this boys’ and girls’ mountain bike can be flipped over in order to raise the handlebars up. This makes for a comfortable fit, as well as a bike that will last for quite some time. Tires on the Yoji have an aggressive tread that grips the roads and trails. The tires even have built-in puncture protection. Tektro Mini V-Brakes enable the bicycle to stop smoothly. 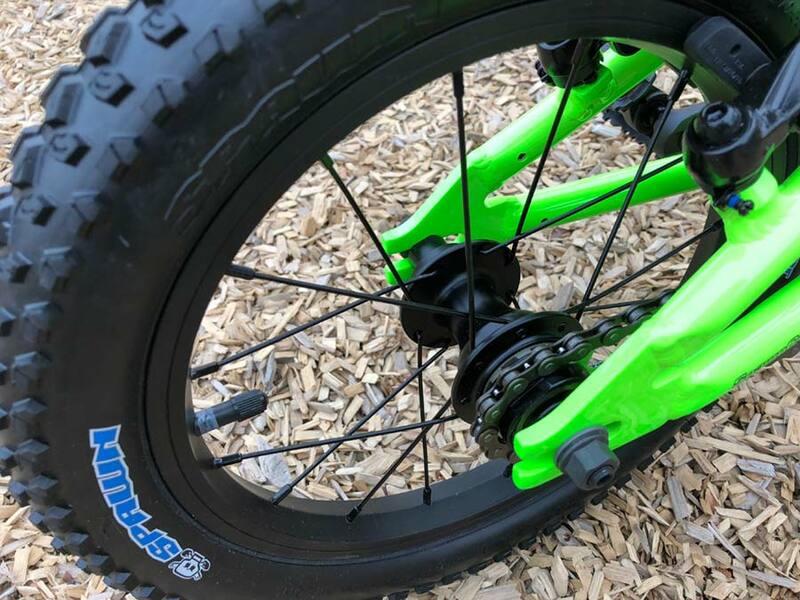 The Spawn Yoji 14 comes with a real freehub and hollow axle. 64mm bolt circle diameter (BCD) connections on the cranks enable the chainring to be swapped out with Shimano cogs. 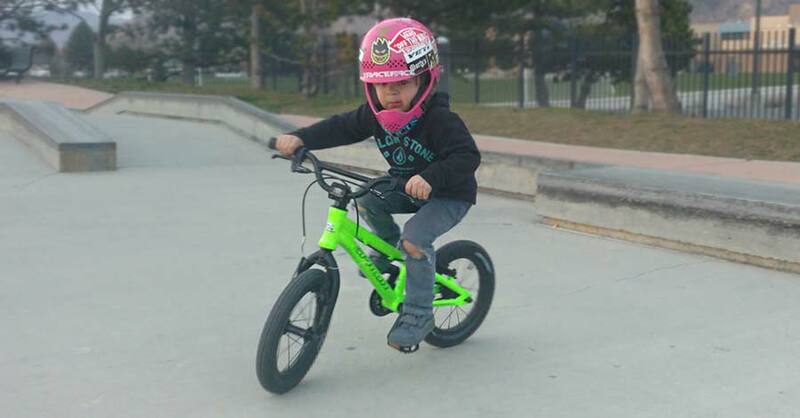 You can customize your little one’s gearing depending on the terrain that you and your child are riding on. As with all bikes, the proper fit helps the rider control the bike. 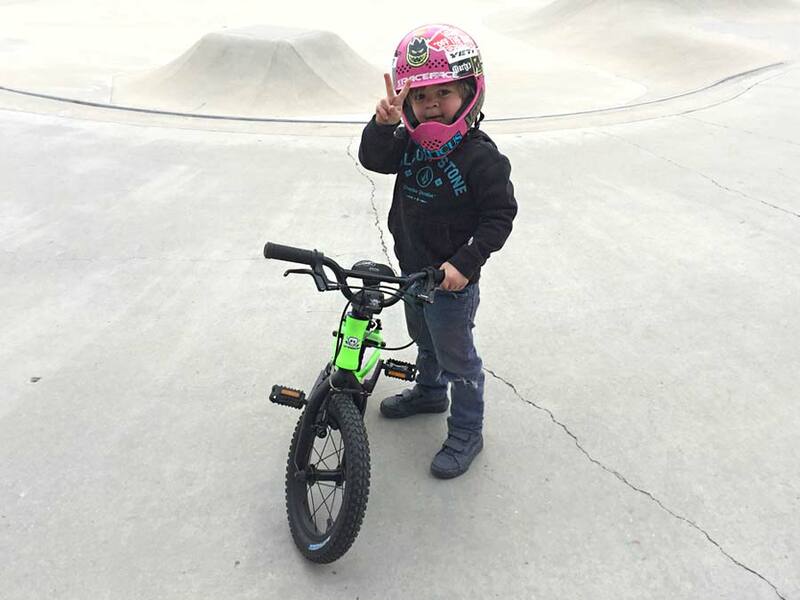 And, when you can control the bike - that builds confidence. Our test rider enjoyed riding this bike. Naturally, his favorite feature was the color. Maybe in the future he can appreciate all of the research and design that went into the bike’s geometry and components. The 89mm long cranks allowed for smooth, even pedaling. The 460mm wide handle bars were a comfortable fit that enabled confident cornering and maneuvering. 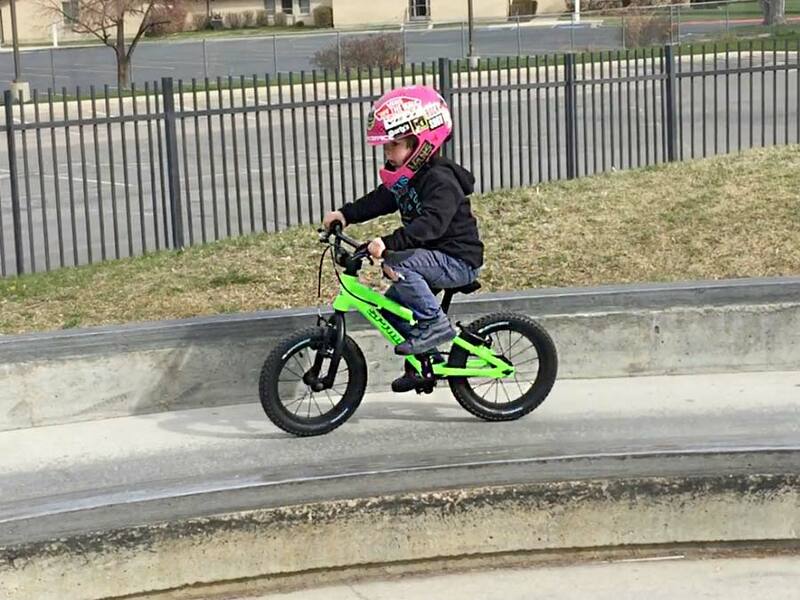 Our young buck was even able to maneuver the bike up on a narrow 18″ tall skate park feature. Confidence just kept growing, too. After a few revolutions of the cranks, our rider was up-to-speed, standing up on the pedals and dropping in on some of the skate park’s bowls. Get out of the way! Here comes a fun, light weight 14" kids' bike. 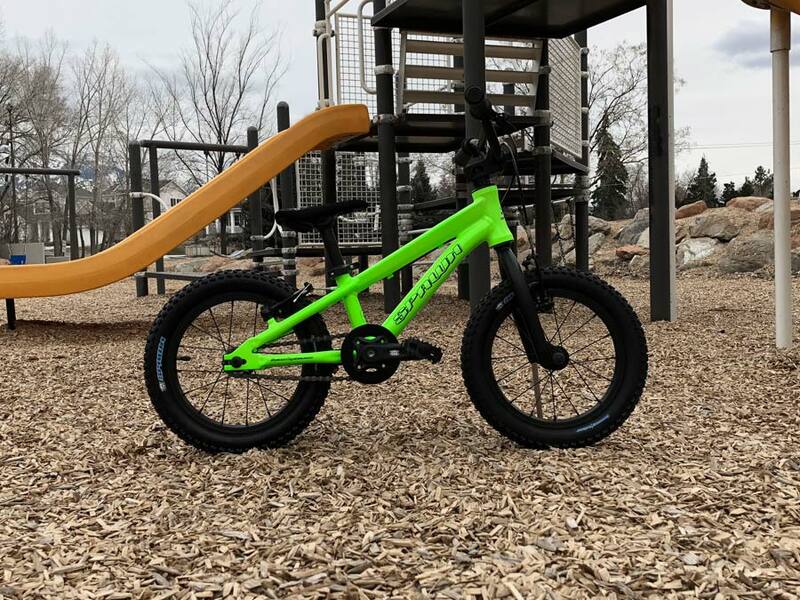 You can control the reach on this kids' bike by rotating the handle bars. We don't know if this means "Peace" or "Victory". 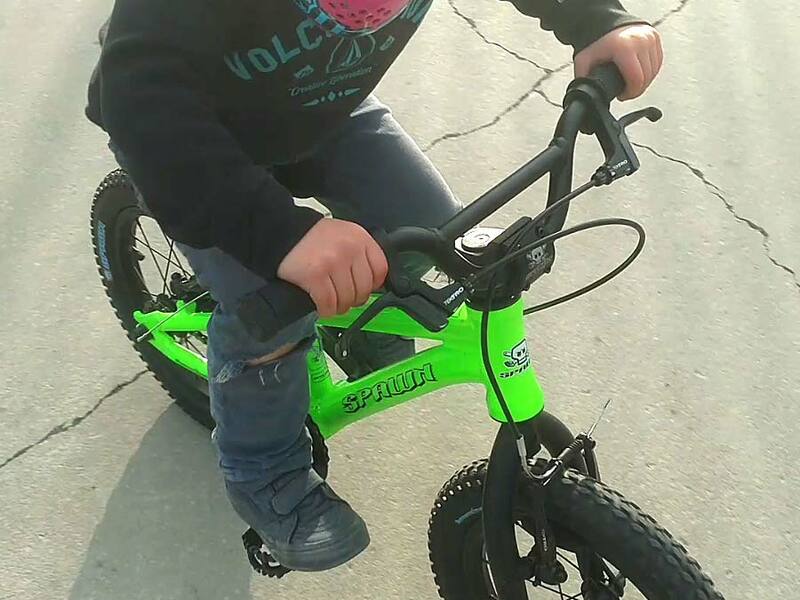 Either way - the Spawn Yoji 14 was a hit with our test rider. This bike fit him very well and that allowed him to ride the bike as it was intended. 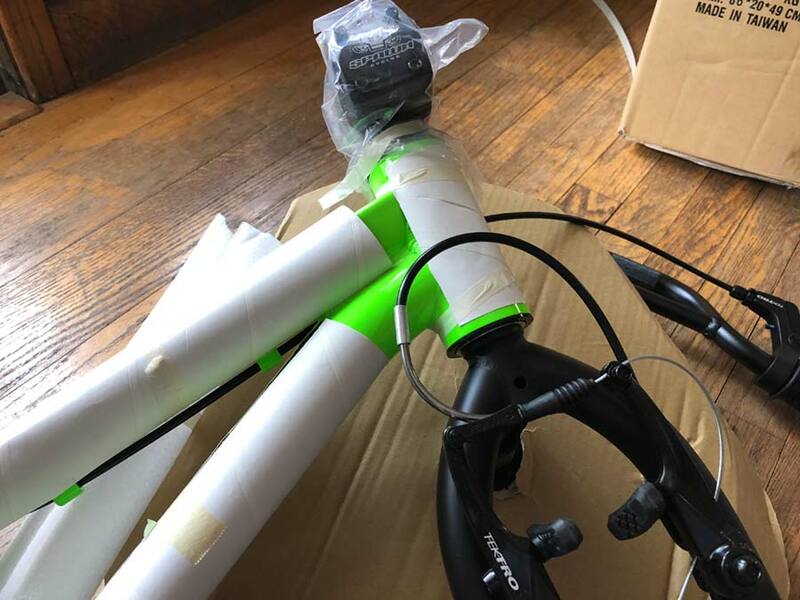 When the bike arrived on our doorstep, I was excited to see that the bike requires a bit of assembly. In addition to attaching the pedals and handle bars, we had to adjust the brakes properly. You have to provide your own tools but Spawn provided the know-how via a well designed instruction manual. 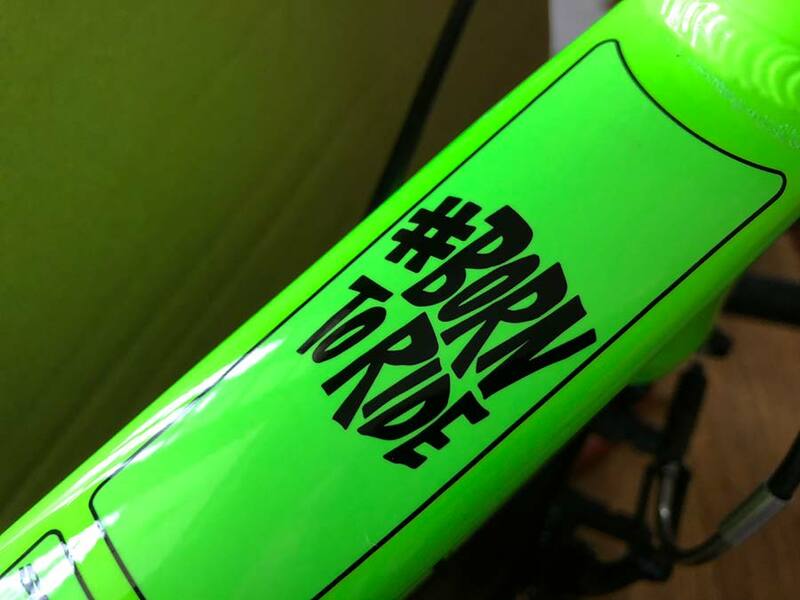 Some people may balk at the idea of having to assemble a bike, but we say embrace it. 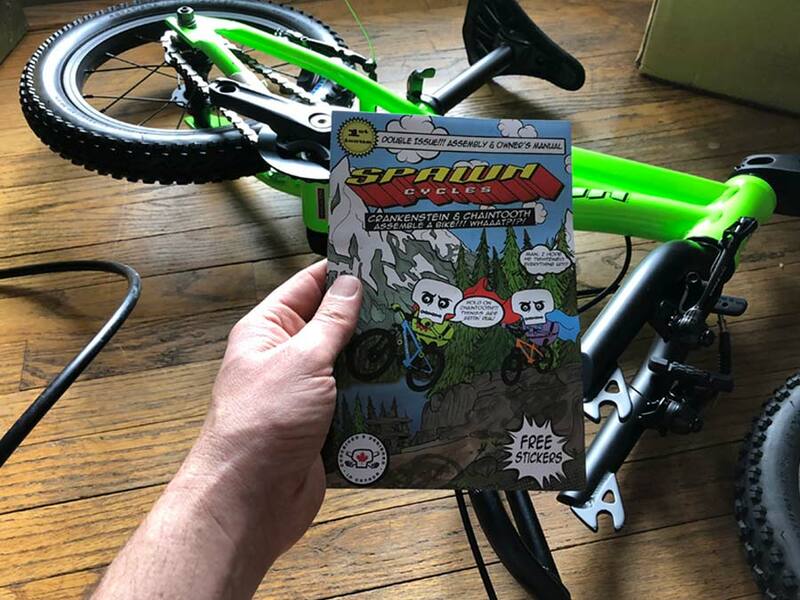 Even if it’s a surprise gift, take the opportunity to have your daughter or son assist with building up the bike. As always, safety is paramount and you need to make sure all bolts are tightened to specification and the brakes are functioning properly.